New Foley Classroom - Open For Study! Welcome back Zags! You may have noticed that Foley Library has two new glass classrooms located on the main floor. Whether it’s for group work or individual study, the rooms can be rearranged to fit your study needs. Each table even includes power outlets! As long as there is not a class utilizing the space, feel free to take advantage of these new study spots. 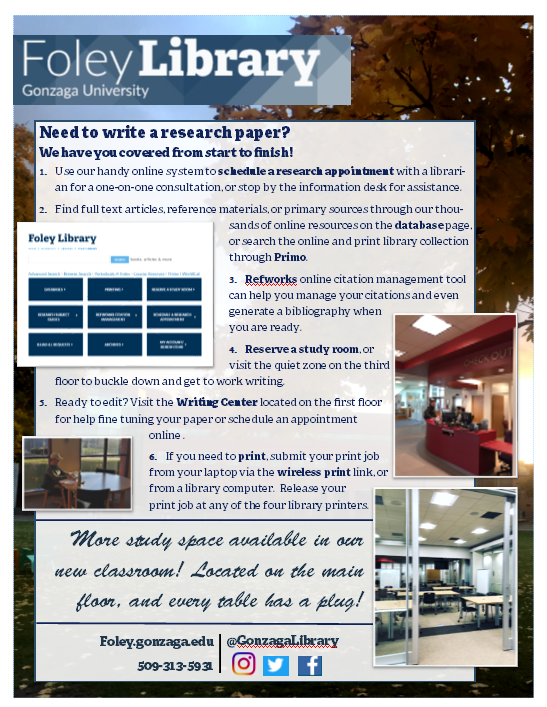 For older issues of Front & Center, contact our University Archives & Special Collections department. 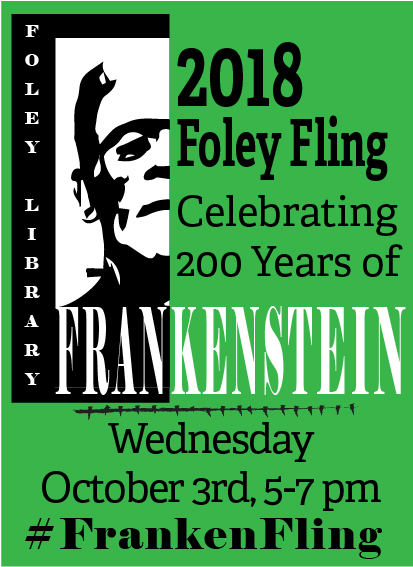 Foley Library has a lot of great work-study jobs! If you have a Federal Work-Study award, please submit your application to Elaine Baierl in the Dean's Office.